J. Gabriel Scala received her M.F.A. from Bowling Green State University. She has had poems and critical reviews published in Lullwater Review, Beacon Street Review, Northwest Florida Review, Calyx, and Third Coast. 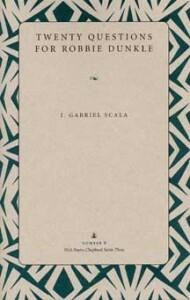 Scala currently lives in Memphis, Tennessee, and teaches literature and creative writing at the Lausanne School.